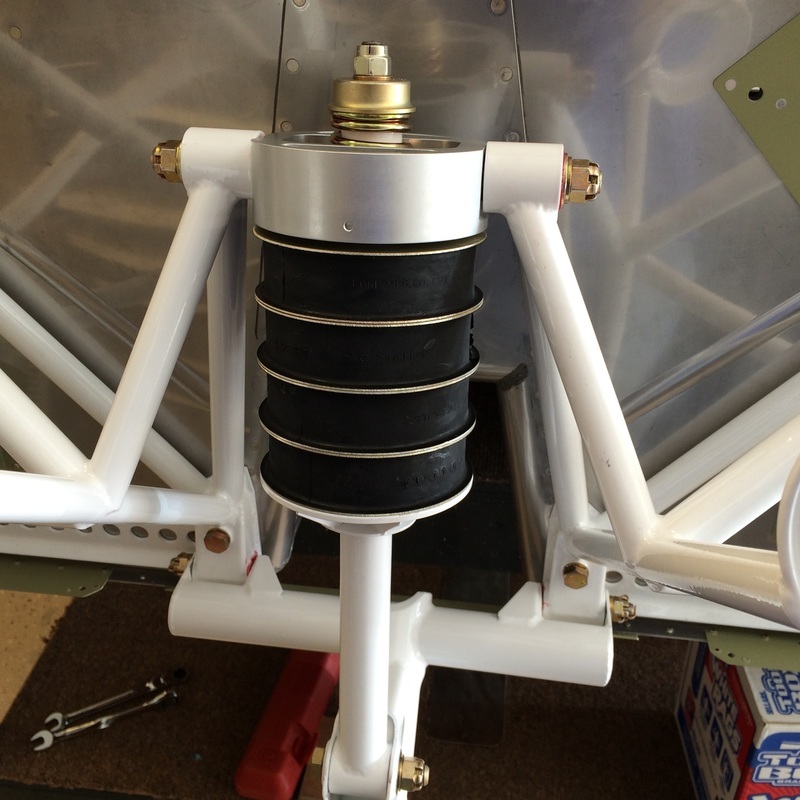 There are actually 6 bolts attaching the motor mount on the RV 14A, with the two extra ones at the nose wheel attach. Bolted in place with AN 6's torqued to 180 inch pounds. 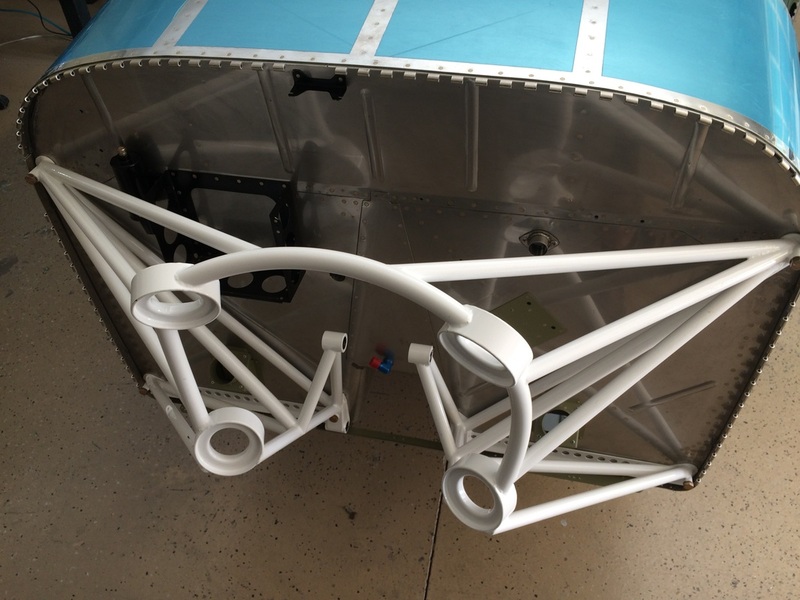 Landing gear is going on next. 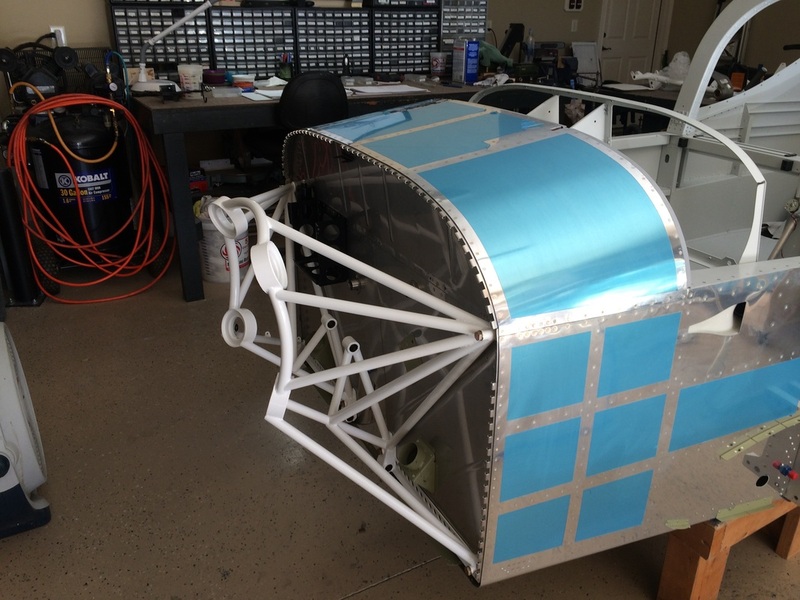 The nose strut is assemble and fastened to the motor mount. 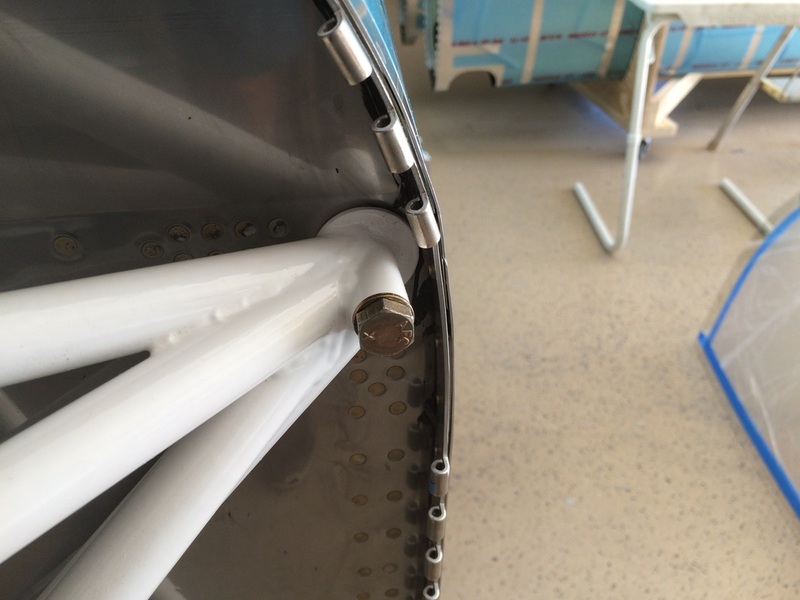 We found the 1 spacer will not do the trick of holding the gear up after you take off and I think we are going to try it with the second space and see hoe it does. 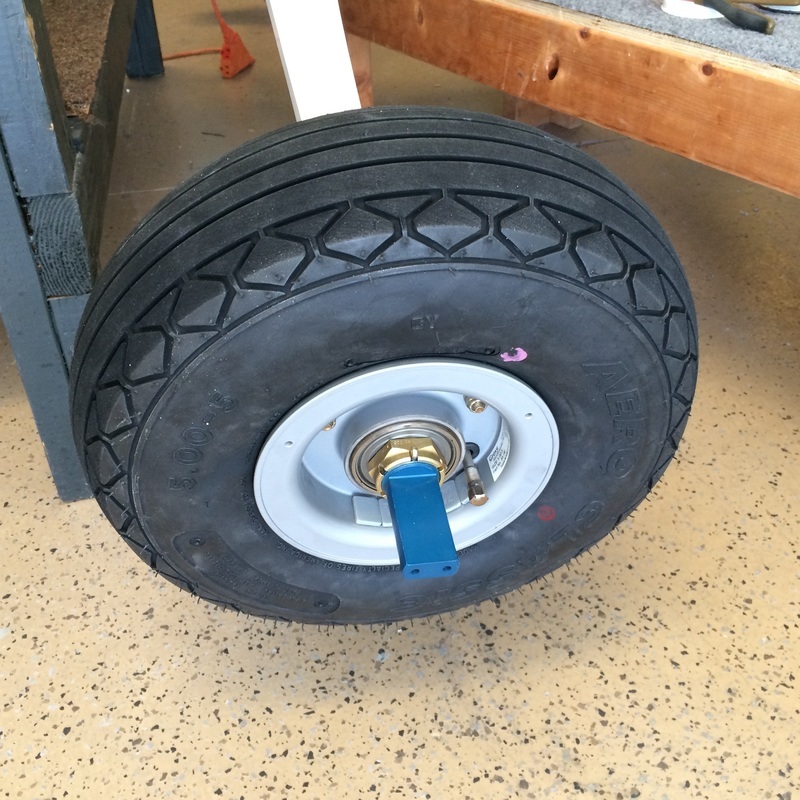 This is our nose wheel. Yep, it's the rather expensive Berringer, but it is worth it. 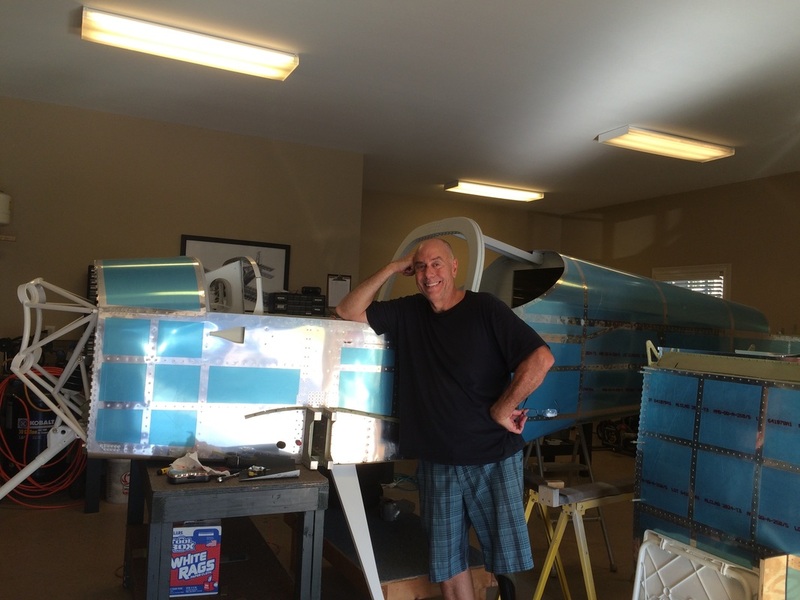 After many problems with the nose wheel on my RV 7A, I installed the Berringer nose wheel and my issues disappeared. 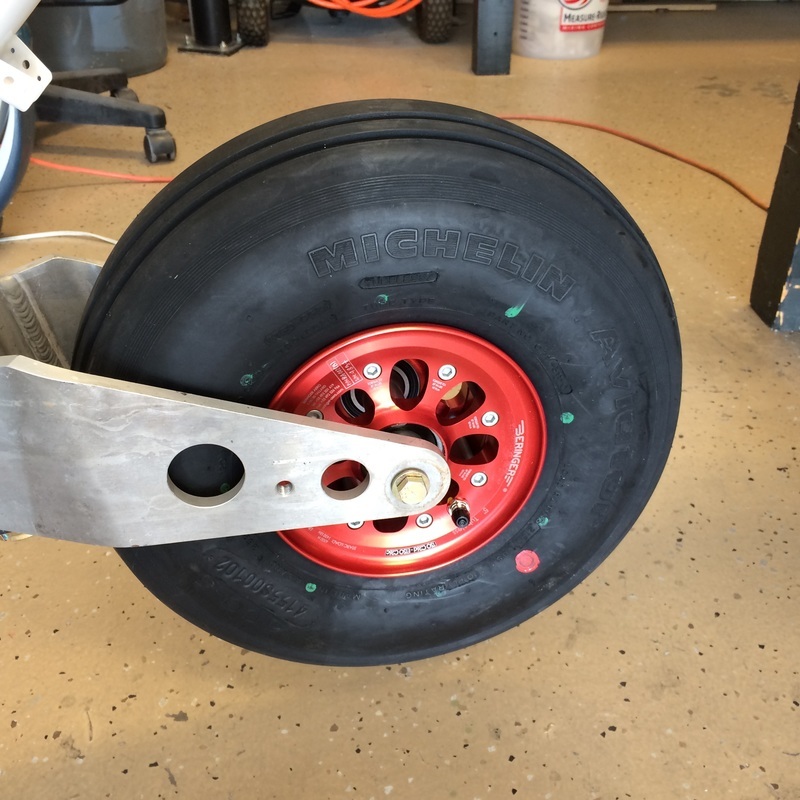 No vibration, no leaking tubes and the sealed bearings have little drag that somehow caused vibration in the nose gear. 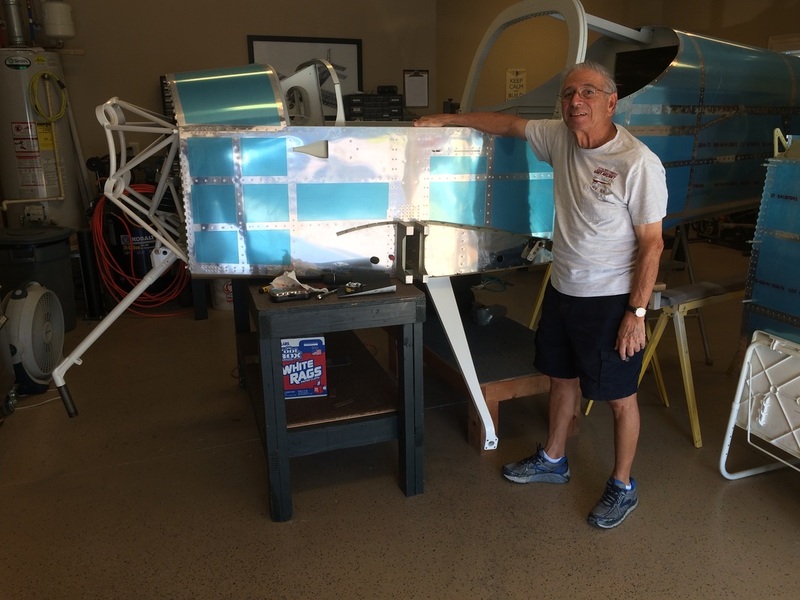 The main landing gear required considerable work to get them in place. 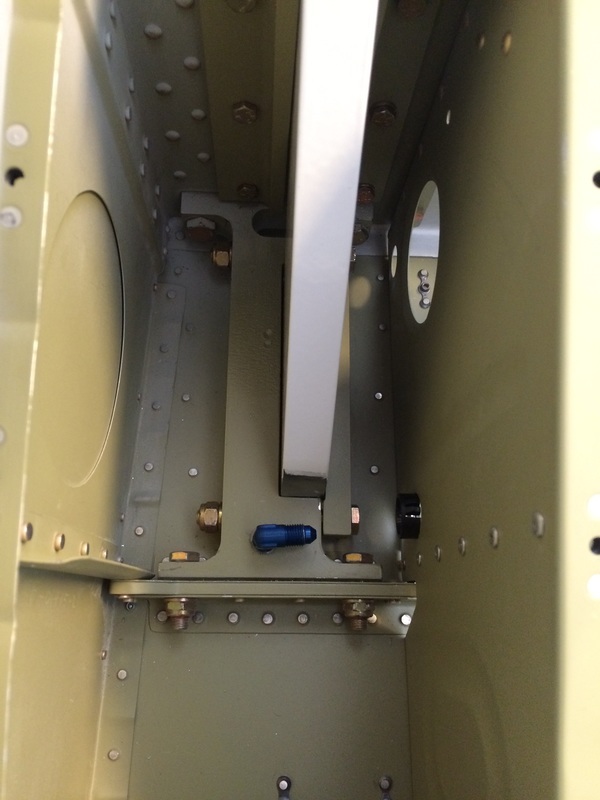 Where they go through the bottom of the fuselage and the "I" beam attach, the gear was about .012 too wide to fit through. 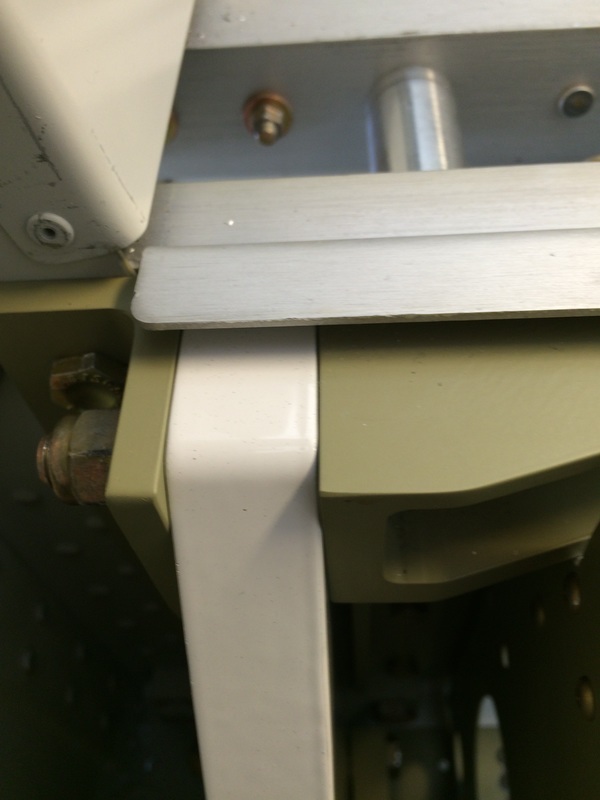 After checking with Vans, we filed a little off the gear at the point of contact, polished the filed surface, rounded the edge of the gear in the same area and it slipped right in place. My partner who lost a little weight after hip surgery, right back into it.